If you're like most people, your closets are tucked away from public view. Because of this, they are easily forgotten and the first places to fall prey to clutter and disorganization. Your closets may not be at the top of the list when considering home organization projects, but they should be. Closet Works can help. Our Deerfield closet organizers can turn small closet spaces into bastions of order, and turn larger closets into powerful comfort zones. 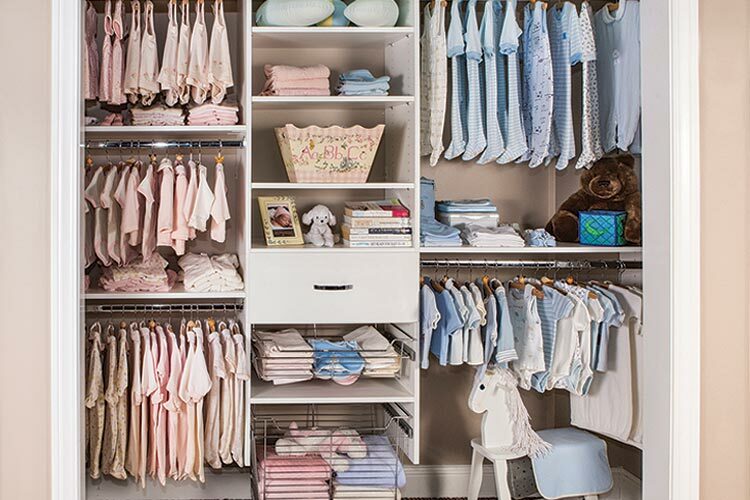 Our Deerfield closet organizers will evaluate your closet space and will offer design solutions to bring not only a new level of comfort and orderliness, but beauty, too. We want you to enjoy your closet space. Destroy the clutter in your life, and make space for so much more in your custom designed closet. Closet Works focuses on optimizing existing closet space, allowing you to more fully enjoy your area. Wouldn't it be nice to have a place for everything, with everything in its place? To simplify your closets and overall storage needs? Deerfield closet organizers exist for this very reason, to help you organize your closet space. Banish the days of endless clutter and personal storage issues. Achieve a new level of closet organization in your Deerfield, Illinois home and make life a little simpler. It's an oft-told mantra — 'simplify'. Let Closet Works help you. We are specialists in closet organizers and proudly serve Deerfield as well as the entire Chicago area. If you're tired of disorganization and closet clutter, contact us today. 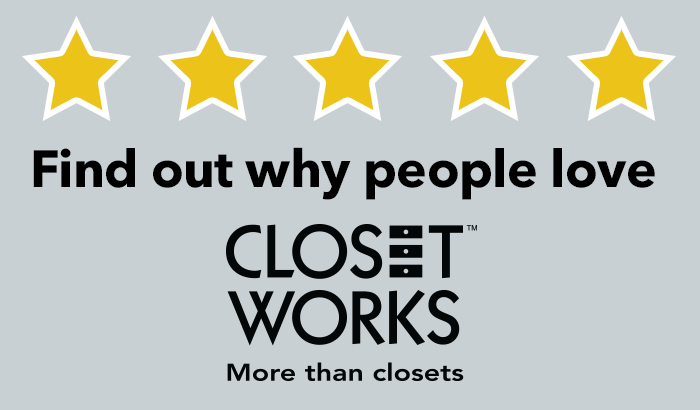 Closet Works offers custom closet organization systems to fit every need. 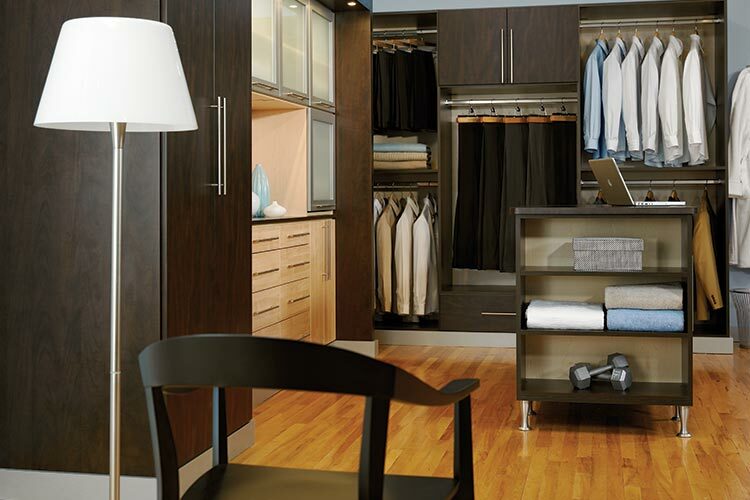 To get started with Closet Works today, call us at 800-425-6738 for your free in-home consultation. Start making the most of your closet space today.